The eGo has become the standard next step up from the cig-a-like, and makes a quite logical first ecig for many people. The power, battery life and versatility make it a great choice for new and expereinced vapers alike. Likewise, the iTaste VV v3.0 from Innokin will likely also appeal to a wide audience. The iTaste VV kit comes in two varieties. One has just the device with a retractable charging cable, or with a charging cable and iClear 16 clearomizers. The VV with a charging can be found for well under $40, making it a reasonably priced option. In either case, there are quite a variety of color variations available as well. The battery and charge kit in black was purchased for this review and came in a solid slide out box along with a rather thick manual in 9 different languages. The obvious identifying feature of the iTaste VV is that it’s square. The design works extremely well, making the unit a lot less prone to rolling off of tables. It also provides a nice flat surface for the LED display at the bottom of the unit. Chrome surrounds that display and also caps off the top and bottom of the unit. Less obvious is that this is a relatively small and extremely light device. The length is only 11mm and it weighs just a little over 1.5 ounces. All together, the iTaste VV is a good looking and solid feeling unit. There are three buttons on the device, two small buttons next to the display and a larger fire button near the top. The fire button is surround by a bevel that helps to prevent inadvertent firing. That bevel also lights up in either green, yellow or red to indicate remaining battery charge. Three quick presses of the button turn the device on or off. The top cap integrates an exposed eGo style connector which allows the device to be used with all 510 and eGo atomizers and cartomizers. The corners of the top are beveled, providing for a very nice appearance when used with eGo accessories such as an EVOD. The bottom cab remains square and, making it very stable when standing upright. A slight ridge around the outside edge helps when standing upright as well. 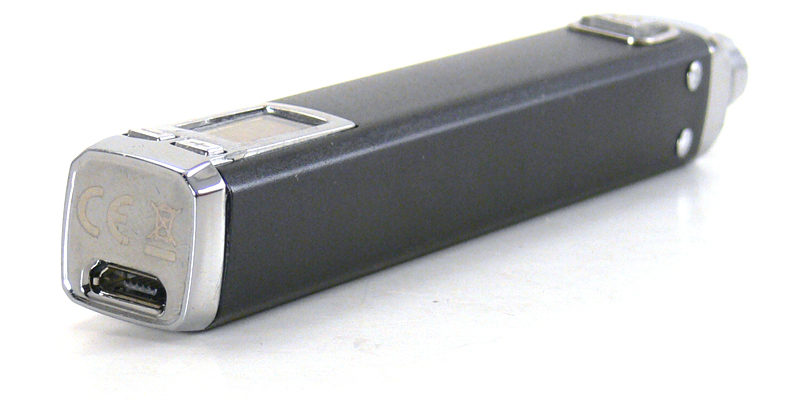 The bottom cap also houses the mini USB connection which is used for charging. Any mini USB charger cable will work, so there is no need for a proprietary charger. This is one of the biggest advantages that the iTaste VV has over the typical eGo. It also means that it can be used as a passthorugh while charging. A second big advantage is the fact that the iTaste VV is actually a variable wattage device as well. The marketing department must have been on vacation when they named this device. Not only is the name iTaste VV a little boring, but it actually makes it sound like the device is less functional than it is. The fact that the MVP, VTR, SVP etc. from Innokin are also VV devices with the iTaste brand name only adds to the confusion. 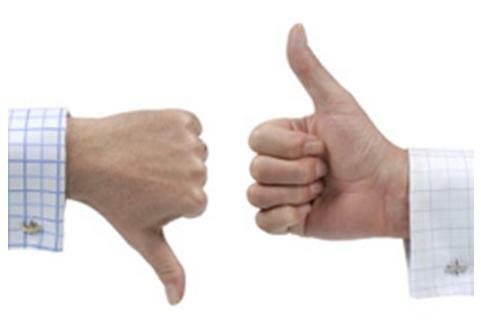 So, back to the variable voltage/variable wattage discussion. This competent little device does both, which leads us to the menu system. Two buttons at the bottom edge of the LED screen control the functions. Pressing the “-” or “+” button first displays the puff counter and then lowers or raises the voltage or power accordingly. Holding down the “-” and then the fire button activates variable voltage mode. The “+” button along with the fire button activates variable power mode. Pressing both “-” and “+” buttons at the same time causes the display to show first the atomizer ohms and then the remaining battery voltage. In variable voltage mode, the iTaste VV is capable of a 3.3v to 5.0v range of output, while in variable power mode that translates to 6.0-11.0 watts. The power limit is 3.5amps. What this all means is that for a rather small device, it packs a pretty good punch. The ranges work well with a wide variety of products on the market and the 3.5 amp limit is sufficient for a nice warm vape. While not necessarily a match for a full size APV with a higher output, it’s probably the best performance we’ve seen out of a device this size. Battery life is also good and has lasted me through a day at work without much problem. Again, it’s not going to last as long as an 18650 mod, but the mini USB connector makes that less of a concern. Pocketability is where the iTaste VV really shines. The diminutive size and weight make it nearly unnoticeable in a pants pocket and not even that cumbersome in a shirt pocket. The fact is that this little device weighs less than some of the 18650 batteries that I have; not the 18650 mod, just the battery. The easy 3 click on/off and a quick voltage check have made it a first choice when leaving the house. The iTaste VV would make a great first device or step up from a cig-a-like. The variable power function and 11 amp limit means that an inexperienced user can set it and forget it, yet still get great vaping results. USB charging also eliminates one more piece of the learning curve. It’s a bit more expensive than an eGo, but definitely worth it for the extra features. 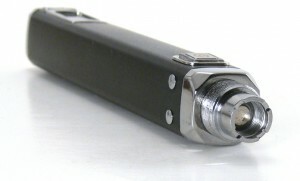 The iTaste VV is available from a number of online retailers. This one was purchased from My Freedom Smokes for $36.95 including the charger. Some of our other favorites, Viper Vape, Litecig and Madvapes also have attractive pricing on them.